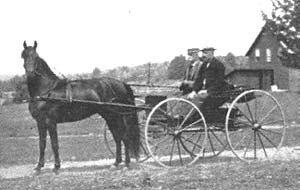 General Gates was bred by Joseph Battell, the gentleman who donated 600 acres to start the United States Department of Agriculture farm in the early 20th century. This government farm, along with the devotion of a few private breeders, preserved the Morgan breed. 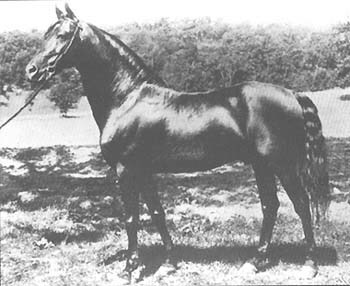 General Gates was the foundation sire of the Government farm. 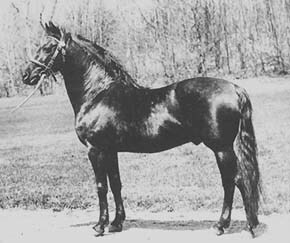 He was a controversial choice as his dam, Fanny Scott, was unregistered and was sired by a thoroughbred. 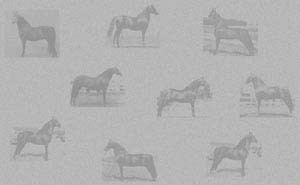 His obvious morgan type won out, and he sired 53 horses, including Bennington, Linsley, Red Oak and Donald.